Long gone are the days that we leave at noon for a day out in nothing but a tee, forced to purchase a destination hoodie in Newport or Portland for the frigid ride home. I don’t miss the chopper era but fondly reflect on the foolishness of our youths. Recently we began talking to mountain climbers, hikers and other winter-sports fanatics to understand the best type of gear for the elements. 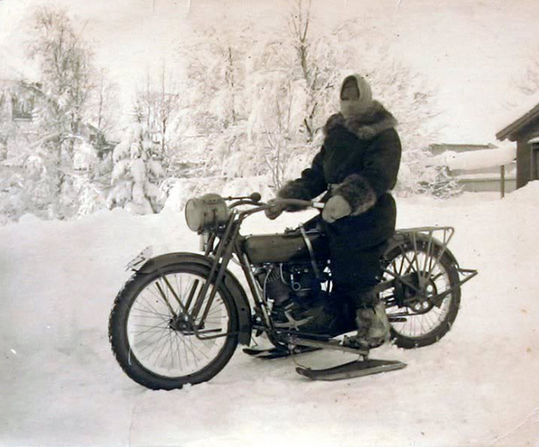 It seems that a mix of motorcycle specific gear mixed with extreme winter sports gear is the optimal selection. The keys are waterproofing, warmth, flexibility and breathability. The third and fourth points are often overlooked but allow the rider to be warm without overheating (which leads to a bad case of the itches) as well as constrained movement. Based on our research, below are a few pricey but effective gear options. Keep in mind; we don’t take any advertising revenue. This is based on research and unscientific testing – not on product placement. If you feel strongly about a product – email us at beantownbaggers@gmail.com with your thoughts. • This baselayer is made of recycled nylon and are enough (under jeans) for riding as cold as 40 degrees. Beyond that you may need something that defends the wind better than denim for a top layer if you plan on hitting highway speeds for prolonged times. This base layer is expensive but is night and day better than your father’s long johns. • When they get wet, they’ll dry in no time at all. They breath well and are unrecognizable as a layer when the rider is moving. • Patagoinia also makes a one piece with a hood but this option seems inconvenient at rest stops. While many like chaps, the look isn’t for everybody. Some may even despise the sporty look of the snowboard pants (shown below) but there is no argument that they pack much better than leather chaps. Additionally, they’ll keep you much warmer than your steak-skin. The North Face makes a pair of insulated pants called the NFZ Insulated Pant. The NFZ pant is made for riders skiing K2 (28,000 feet in the Himalayan mountains) where temperatures get down to around -9F in the rougher months. These pants are waterproof and made with Gore-Tex so they will breathe when wet. Additionally, they are lined and coupled with a base layer, should keep you warm down to 20F. If you’re going to be riding in colder weather, you’ll likely need a base layer + fleece pant + NFZ pants. Until three years ago I would have scoffed at the idea of plugging clothing into a motorcycle. With that said, I’ve definitely seen the light! 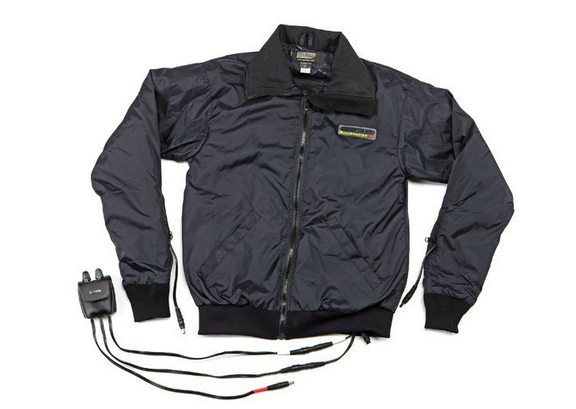 Heated gear allows you to moderate the temperature of your jacket and gloves through a ride. It not only directly heats your skin but keeps heat circulating around your jacket and under your leather during long stretches. There are a lot of brands of heated gear but Gerbing has been our preference for years. Gerbing has a variety of sizes and styles depending on your riding needs. The jackets (liners) are meant to be worn over a thin long sleeve (base layer) and under a leather. 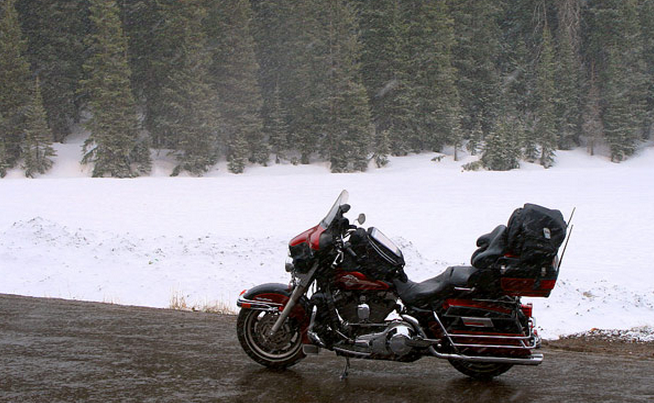 Most of the time you’ll be alright with these three layers but depending on your leather’s wind blocking ability, you may need a fourth layer between your heated jacket and leather for really cold rides. You’ll need to get a jacket liner, gloves and a dual regulator. Installation into the bike is as easy as installing a battery tender. Alternatively, you can buy a cigarette lighter adapter that works just as well as connecting another pigtail. We recommend buying a size that is not too big as you don’t want it bunching up under your leather. 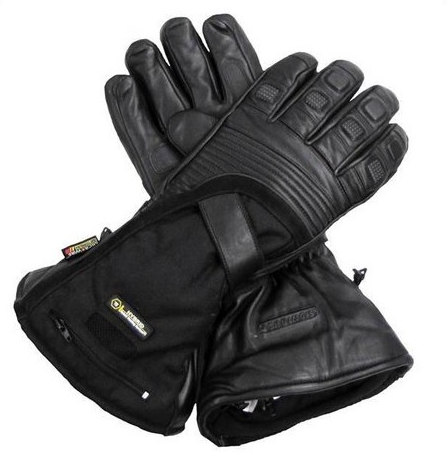 The warmest gloves are the Gerbing Hybrid T5 but the G3 gauntlet gloves will do the trick for a few dollars less. The Gerbing gear holds up reasonably well. After three years, the wires in the jacket liner to one set of gloves are no longer pushing any electricity to the gloves. We have written to Gerbing about the fix but haven’t heard back yet. Until this issue occurred, we would have given the gear a perfect rating. 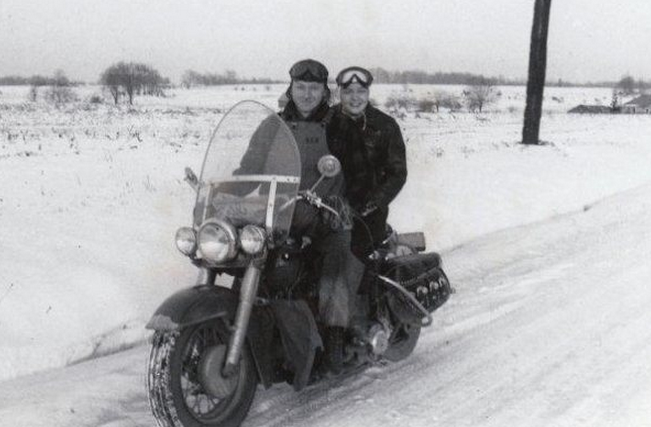 No matter how long you have been riding or how much you hate the cold, it’s possible to stretch the length of the season until that snow and salt hit the roads. It’s just a matter of picking the right gear to stay warm during the tougher miles. Ride hard, Ride safe… Ride on! The Gerbing pants insoles will keep your lower body and toes warm too. I love them and wear the pants under leather outer pants.. very warm.